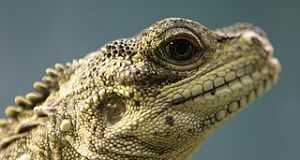 The world’s astonishing lizard diversity – 5988 species have been described to date – is mirrored by the huge array of species now available to reptile enthusiasts. In recent years, refined husbandry and breeding techniques have introduced and re-introduced many fascinating lizards to the pet trade. Today I’d like to cover several that might interest folks with varying degrees of experience. I’ll review others in the future…until then, please post notes about your own favorites below, as those mentioned here are just a small sample. A highly-varied diet is essential if you are to have success in keeping insectivorous lizards. Crickets and mealworms alone, even if powdered with supplements, are not an adequate diet for any species. Always provide your lizards with the largest possible enclosure. Large terrariums will simplify the establishment of a thermal gradient (areas of different temperatures). Thermal gradients, critical to good health, allow lizards to regulate their body temperature by moving between hot and cooler areas. Few diurnal (day-active) lizards will thrive without a source of UVB light. If a florescent bulb is used (the Zoo Med 10.0 UVB Bulb is ideal), be sure that your pet can bask within 6-12 inches of it. Mercury vapor bulbs broadcast UVB over greater distances, and provide beneficial UVA radiation as well. The following information is meant to provide an overview. Please post below for more detailed information. Also known as the Green Spiny Lizard, mature males are breathtaking even by lizard standards. Note the Latin species name – malachite green, with a blue tint, best describes these beauties. Although many in the trade are wild-caught, captive births (they bear live young) are becoming more common. Emerald Swifts range from southern Mexico (Yucatan) through Central America to Panama, and are restricted to cloud forests and similar mountainous habitats. Unfortunately, as with most habitat specialists, care can be somewhat complicated. Emerald Swift terrariums must be kept rather cool and humid (74-76 F, humidity 60-70%), but hot, dry areas (90 F) must also be available. As airflow is important to their health, the screen top should not be covered with plastic as a means of increasing humidity; rather, a reptile fogger, or frequent hand-misting, should be employed. A pair might get by in a 30 gallon terrarium, but a 55 gallon, which will also support a second female, is preferable. Driftwood and rocks should be supplied for climbing and basking; all rocks should be placed on the tank’s floor, not on the substrate, so that tunneling lizards will not be crushed. UVB exposure is essential. A highly-varied diet comprised of well-fed, calcium and vitamin-supplemented roaches, crickets, butterworms, waxworms, calciworms, silkworms, hornworms and wild caught insects is critical for their long-term health. Like most related lizards, Emerald Swifts are high-strung and should be viewed as pets to observe rather than handle. 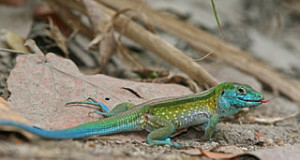 This active, attractive lizard is also sold as the Asian Grass or Six Lined Grass Lizard. Originally available only as wild-caught imports, they have proven to be prolific breeders, with multiple clutches per year being common. Their huge natural range extends from India and China through most of Southeast Asia to Indonesia. Long toes and an extraordinarily-long tail (an individual with a 2.5 inch long body will sport an 8 inch tail!) enable these little acrobats to hunt in the “canopy” of their grassland home – a niche unavailable to other lizards. Although small, Grass Lizards are very active. A trio should be provided a 20 long to 30 gallon terrarium. If given sufficient space and cover, a small group can be maintained together; success has also been reported in housing them with small geckos, treefrogs and anoles. The terrarium should be well-stocked with real and artificial plants and branches, as they are stressed in bare enclosures. UVB exposure is essential, and a temperature gradient of 72-85 F, with a basking site of 90-95 F, should be established. 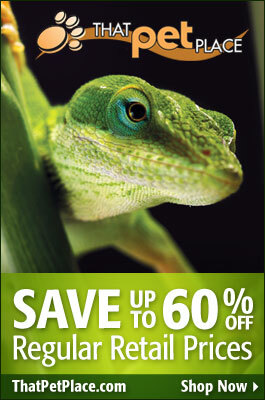 A diet comprised of as many insect species as possible must be supplied; crickets and mealworms alone are not adequate. This thickly-built lizard appears quite formidable, but it is actually calm in demeanor, and usually becomes a most responsive pet. Also a long-lived pet – a pair under my care at the Bronx Zoo was still actively-courting at age 25+. The “Sudan” part of this lizard’s name is misleading, for its enormous range extends from that country clear across the width of Africa, and south along the continent’s western coast to South Africa. “Plated” is, however, apt, as they sport very sturdy, thick scales. Sudan Plated Lizards favor semi-arid scrub, brushy savannas and lightly-wooded grasslands, and may also colonize parks and other developed areas. Plated Lizards really come into their own in large enclosures, and should not be considered unless a cage of at least 4’ x 3’ x 3’ (and preferably larger) is available. Those I’ve kept in large zoo exhibits were doing something interesting all day long…the same cannot be said for the many poorly-housed specimens I’ve seen over the years. They prefer to bask on rocks, and are inveterate diggers. Be sure to place all rocks on the terrarium’s floor, not on the substrate, or a lizard may tunnel beneath one and be crushed. A deep layer of sand and gravel should cover the cage bottom; PVC tubes and similar shelters make great retreats. Plated Lizards do well at a temperature gradient of 76-88 F and with a basking site of 95F. Ample UVB exposure is essential. Providing a varied diet to these ever-hungry lizards is a simple matter, as little will be refused. Mine relished the cicadas, crayfish and may beetles, along with all of the standard feeder insects. Interestingly, they also take earthworms, which are rejected by most arid-adapted lizards. An occasional pink mouse can be offered, but rely primarily upon supplements rather than vertebrates as a calcium source (wild individuals do take the occasional small lizard or snake, but they are mainly insectivorous). Fruit is accepted by many individuals, but they seem to do fine without it. Next: I Found an Orange Salamander: Is it a Red Eft and Does it Make a Good Pet? Great article, we keep some gecko’s and chameleons ourself but are very much into al different kinds of lizards.